Physicalisation of Concepts and Learning through ‘Physical Means’. Our instinctive reactionary movements to a stimuli including emotional response. Our infinitesimally small reactionary movements, produced through thought or through outside stimuli, in which we read in others subconsciously. Repeated movement exercises producing muscle and cognitive memory, spatial awareness and a freedom to express notions and emotions. The natural reactions that brings understanding to the abstractions of words, both written and spoken. I have defined ‘Cognitive learning’ as scholastic and mind centred but with little engagement through movement. Purely cognitive thought is in the main sedentary and separates mind from the body. I feel that there needs to be a balance approach to learning using both physical and cognitive methods. We are creatures that move and are meant to move through our environment and by doing so we learn to reason, understand and empathise. I suspect that we are all intrinsically physical learners from the start of our lives. Our action and re-actions to the environment around us, to each other and to abstract concepts, combined with other senses: visual, auditory and tactile, help to develop cognitive reason. Our first response to the world is to look (visual), or hear (auditory), reach (physical), taste or feel (tactile with the physical), and then we gain understanding (cognitive). Unless we ‘reach out’ physically, to gain understanding, in reaction to visual or auditory stimuli, our knowledge would be based on unfocused and vaguely scanned information, impossible to remember easily. I feel that we should not be considered singularly physical, tactile, auditory, visual or cognitive learners but must reawaken the physical that allow other senses to work together. The ‘sense’ that eventually predominates is probably largely due to nurture, or to restrictions in instinctive physical actions, or in cognitive processing. We often restrict natural reactions and movements to fit in, conform and to control, and through this dumbing down of what is physical we become less and less responsive to the world around. This physical interplay of our senses is so intertwined with the cognitive, continually developed over an evolutionary process or schemas (Piaget, Vygotskiǐ), that one is needed to allow the other to function. We need to learn to play again, to move freely, and react to facial movements and emotions and to our environment, to empathise and to understand. The primal instinctive physical response to visual or auditory information develops a three dimensional picture of the world around us (Clark, A, 2001). The brain works better with this full picture and helps us to make judgements, comparisons and gives reasons to remember. 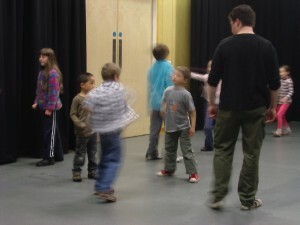 I suggest that by doing simple repetitive movements such as throwing a ball in the air, whilst learning a script or times tables, can wake the ‘senses’ in a similar way, and allows the brain to take in a full picture of information, the physical action connects to abstract thought, making memory and reason easier. 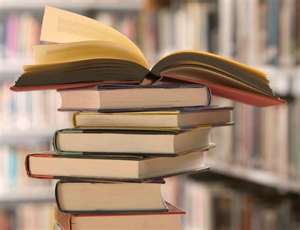 Reading becomes fluid and there is a deeper understanding of the text and subtext. The learning of that which can be perceived as abstract becomes embedded in real tangible reactions to meaning within context. Grammatical understanding can be grasped through the rhythmical ebb and flow, and pauses when writing. Sentences, clauses and paragraphs are all translated into the breath of a character, thought changes, reactionary movement and the muscularity of the voice. Through unhurried repeated movements, drawing rhythmical patterns with a relaxed hand shape, helps to build naturalness in writing ability, through muscle memory, focus, spatial awareness and co-ordination. Within a school setting the simple action of drawing wavy lines, loops and circles, holding a pencil properly when learning to write, strengthens fine motor skills, focus, and the connection of visual perception to movement and thought. I put forward that if this stage is rushed the child will not only develop insufficient motors skills to write fluently, but this will also impact on reasoning ability and focus to follow through an idea. Brain matter does not develop properly without this interconnection with the repeated physical action. Our reasoning has become highly evolved through physical reactions to the environment and the interactions with others (ibid). Our brains have become complex through this interplay of the physical and higher cognitive thought, which further develops within social groups, by an ‘exchange’ (Sharron, H, 1987) of information, building on understanding. But if this physical language is restricted in our ability to engage in movement, or our interpretation of movement (Neal D, T, Chartrand, T,L 2011), then I believe that we become retarded in the capability to empathise, decode the abstract and in our short term memory skills. We lose half the tools available to us to learn and communicate with others because we detach our physical reactions and actions from the cognitive. Sometimes, however, there needs to be a paring up of those with good movement skills with those that are restricted, to allow the one to guide the other. For example, if a child has dyspraxia and struggles with the physicality of writing, someone else should guide their hand in the action of drawing shapes until the movement is remembered naturally. As actors we learn to focus on the immediate and react on ‘the impulse’ re-awakening our first responses to the world. We have to re-learn this primal reaction and understanding and trust the director to help develop the imagined environment of the play, which transfers easily to an audience. 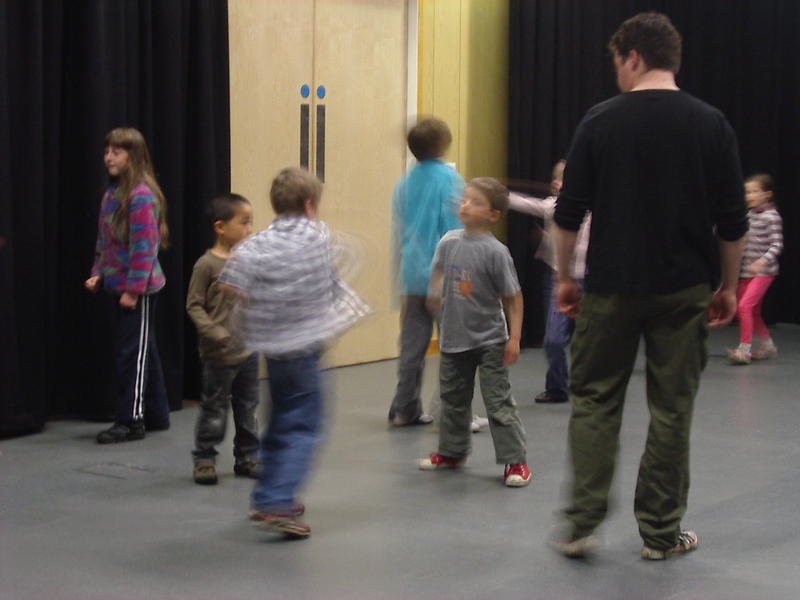 Theatre is a physical interaction of players and spectators, which communicates ideas that are both abstract and realistic. Those engaged in these processes develop the ability to reason, focus, and empathise, as well as reading and interpretation skills. We are becoming more sedentary in all aspects of life and this has a massive impact on language skills, in the way we interact and empathise with each other and our ability to write down our thoughts, pass on history and explore imaginary concepts (Feuerstein). I will show this social erosion as having an affect on brain processing in more detail later on in the literacy review section, looking at the work of Professor Feuerstein. Exploring how our intrinsic physical reactions to our environment, however big or small, which unlocks learning, reason, focus, empathy and literacy skills, for me, has a vast importance and should impact on education. This importance and the evidence for improvements of abilities listed above form the reasons behind this Action Enquiry….